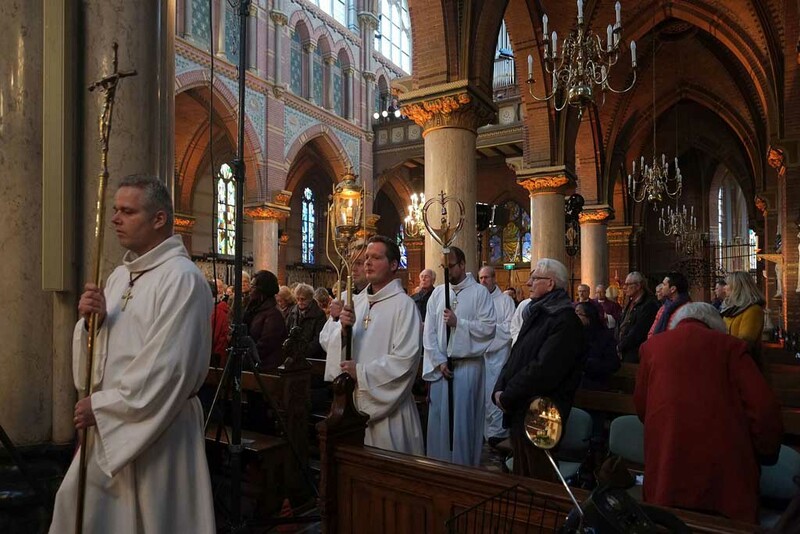 In Honorem Dei (IHD) is a men’s church choir, founded in Schiedam on February 16, 1880. 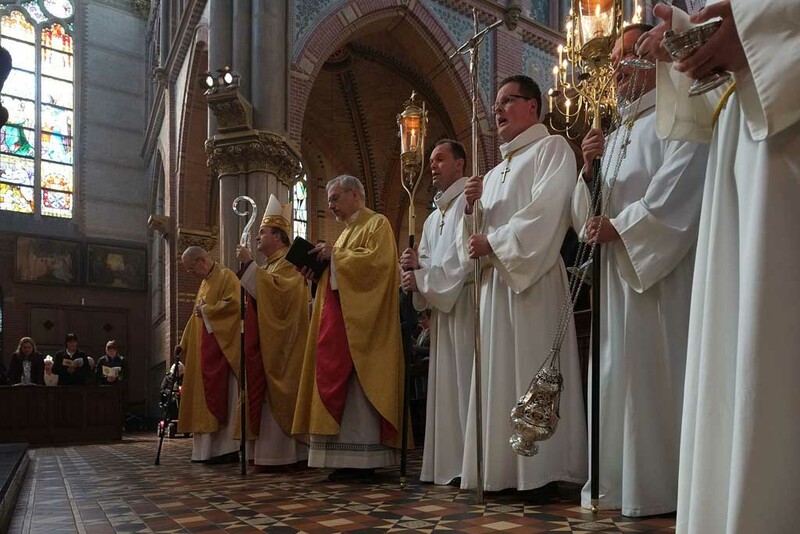 The Basilica of Saint Liduina and Our Lady of the Rosary is the home of this choir. 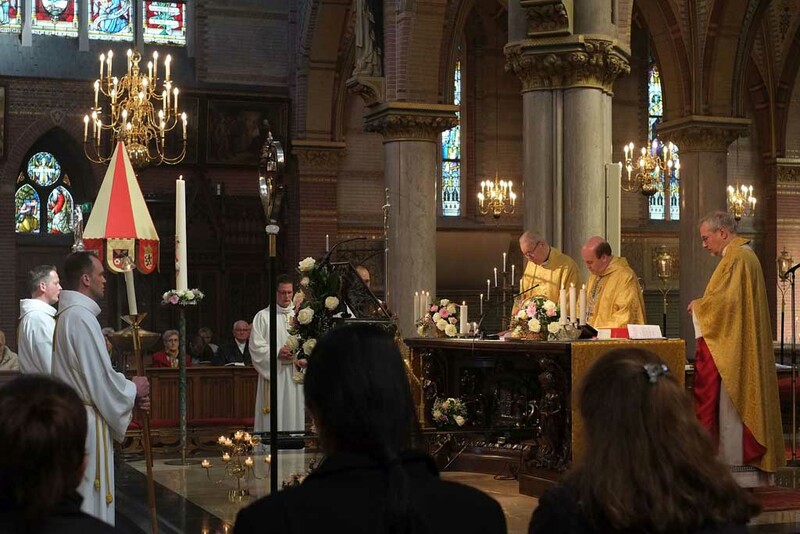 This parish choir is accompanied by an Franssen electropneumatic organ in their Gregorian & Latin songs. 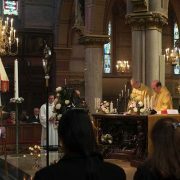 Refer to repertoire, to get an impression of the Gregorian & Latin mass hymns which, for example, has been sung in 2016. 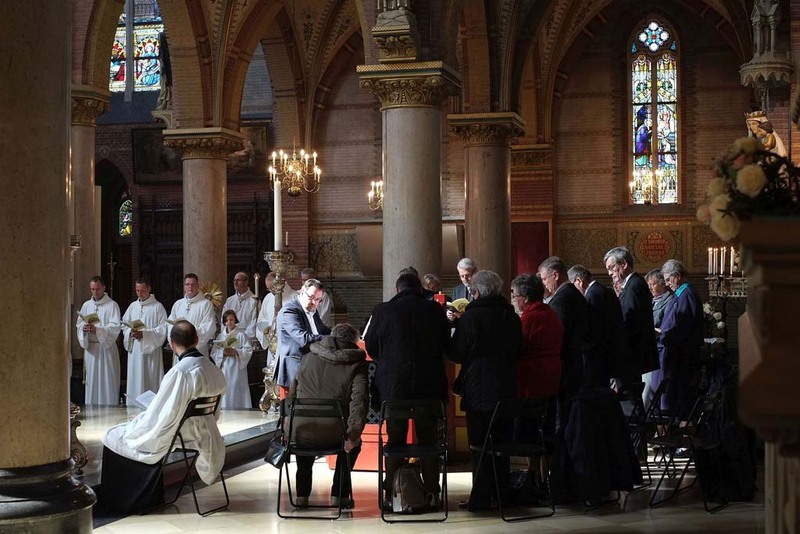 You can listen to In Honorem Dei live, every Sunday via the internet at 9:30 except last Sunday of the month. (Then the women’s choir Jubilatio sings) Also this Gregorian music can be listened to and ordered on CD. 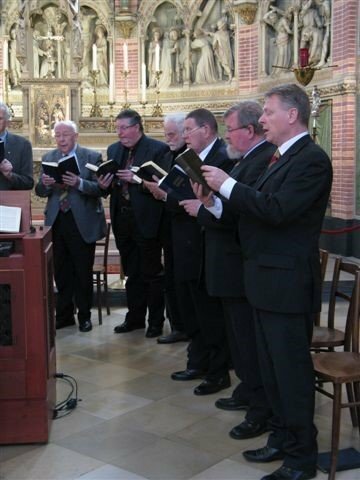 In 2005, the In Honorem Dei men’s choir celebrated her 125th anniversary. 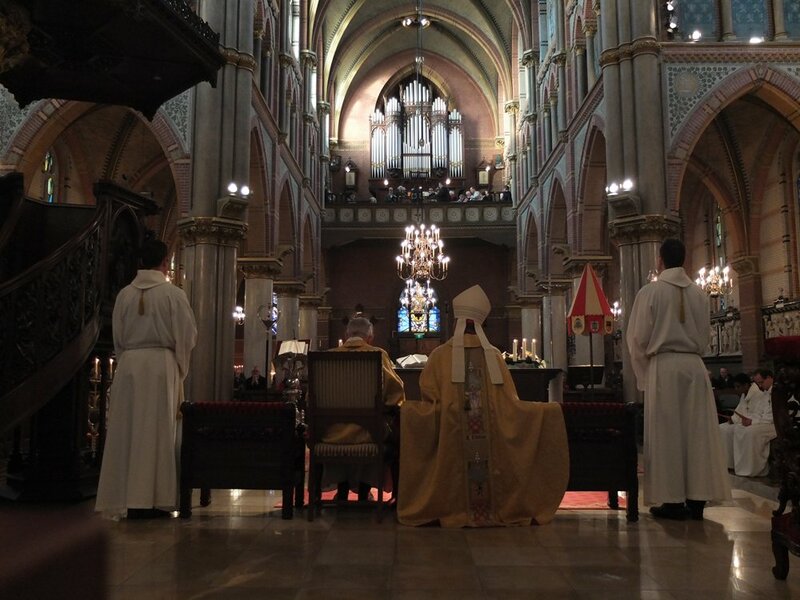 In honor of this jubilee, a music CD was released on which the Gregorian and Latin mass hymns are being heard. 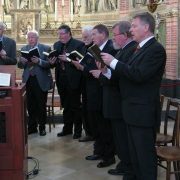 On the CD, the choir is accompanied by the characteristic sound of a chest organ. This is an organ of Herman Pelgrim built in 1998. This music CD is also partly listenable. In Honorem Dei is a men’s choir & it is made up of basses, baritons and tenors. 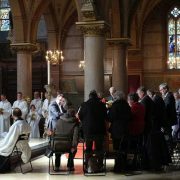 In Honorem Dei is open to anyone interested in Gregorian, Latin masses & motets of well-known and less well-known composers. If you would like to hear the chorus live then you are welcome every Sunday at 9:30. 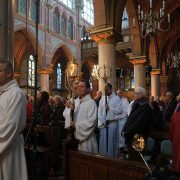 The choir sings in the Saint Liduina & O. L.V. 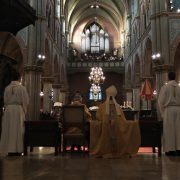 van de Rozenkrans Basilica in Schiedam. 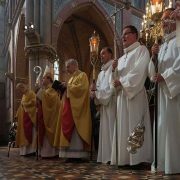 Are you interested in Gregorian, Latin mass and motets? Do you want to do more than just listening? Reading notes can be an advantage but is not strictly necessary! We can help you to study the music. If you are interested in joining the choir, please contact us. In consultation, you can come for trial and sing along. The practice is on Tuesday evening from 20:45 to 22:15.